1. The action in the book takes place in the marshy swampland and deep forests of Texas's bayou region. Research bayous and their ecosystems and prepare a report. In what parts of the world do bayous exist? What kinds of plants and animals live in bayous? How are bayous similar to and different from other ecological environments -- for example, what do bayous have in common with the Florida Everglades, and how do the two areas differ? 2. Long before the Europeans settled along the Gulf Coast, a varied group of Native Americans live in the piney woods of East Texas and Louisiana. They were collectively known as the Caddo. It was from the Caddo language that the name for the state of Texas came about. The name meant "friend." In fact, the Caddo were known as a friendly people. Even though Hawk Man and his family weren't Caddo themselves, they might have been welcome in a Caddo village, just as the later Europeans were welcomed. Research the Caddo. There are hardly any left in their original homeland, and they have mostly settled in Oklahoma and Mexico. Why did they leave? What were some of the things that they were famous for? How did they learn to survive in the marshy swamps of their native territory? 1. Grandmother Moccasin and her daughter Night Song are lamia, half-serpent and half-human. Hawk Man is also an "animal of enchantment" [page 61], having been a bird before turning into a man. If you could be a shape-shifter, which animal would you choose to become? What do you think of the shape-shifter rule: "Once a creature of enchantment returns to its animal form, it cannot go back" [page 47]? If you were Hawk Man or his daughter, would you have become an animal again, even if it meant you could never return to your human form? 2. Until he meets Mama the calico cat, Ranger the bloodhound doesn't realize how lonely he is; Ranger muses that when Mama found him, he "didn't know that he needed to not be so solitary until at last he wasn't," [page 30]. What are the differences between being alone, and being lonely? Is it possible to be lonely even when you're surrounded by people? 3. Abused as a child and later abandoned by his father, Gar Face the trapper lives in a world of anger, and his drinking only deepens his hatred. Does anything make Gar Face happy? If so, what is it? Even though he does evil things throughout the book, do you think he deserved to die in the jaws of the Alligator King? 4. When an author assigns human characteristics to non-human beings, this is called anthropomorphism. What are some examples of anthropomorphism in the book? In real life, do you think plants or animals have feelings like human beings do? 5. Sabine the kitten is named for the Sabine River that feeds the Bayou Tartine. Her brother's name is the same as the playful character in Shakespeare's play, A Midsummer Night's Dream -- Puck is a mischievous spirit who often gets into trouble. What do the names of some the characters in The Underneath -- like those of the kittens, Gar Face, Ranger, Night Song -- reveal about their personalities? Does your name have a special origin, or are you named for a family member? How does your name reflect who you are? 6. Ranger, Mama, Sabine, and Puck refer to themselves as a family. What makes a family? Does a family only consist of parents, children, and relatives? Describe your own family -- does it include people who aren't related to you? 7. When Puck gets lost in the forest after his mother drowns, he has to learn to hunt in order to eat. Sabine realizes she needs to go out from "the underneath" so she can find food for herself and Ranger, a job that Mama performed. These are just two ways that the kittens have to grow up -- what are other examples? 8. Hawk Man, having turned back into a bird in order to find his daughter, spies Puck lost and hungry in the woods, and drops a mouse from the sky for Puck to eat. Name some other acts of kindness from the story. 9. As Gar Face captures Sabine in the yard, Ranger goes wild with fury and lunges at Gar Face, knocks him down, and bites him on the leg -- allowing Sabine to escape. Were you surprised at Ranger's reaction? Why didn't Gar Face expect that Ranger might behave this way? 10. "You have to go back for your sister. If something happens to me, promise you'll find her," [page 77]. Did you think that Puck would be able to keep this promise to his mother? Talk about some other promises made by characters in the novel; were they kept? How, and at what cost? 11. Music plays a big role in the book, from the blues songs that Ranger bays into the moonlight to the enchanting lullabies of Night Song. Discuss music and what it means in the story. How does music help some of the characters? 12. Talk about Grandmother Moccasin. Do you think she was selfish for not telling Night Song about the rule that shape-shifters can't go back to their human form once they become an animal? Did she deserve to be imprisoned in the jar for so long? What is the lesson she learns after she's finally freed? 13. One of the novel's main themes is loss. Which of the characters have lost something, and what did they lose? Do the characters who suffer loss eventually find something new to take the place of what is gone? 14. When children don't obey to their parents in The Underneath, bad things happen. Who were the characters who didn't listen to their parents? What were the consequences of their disobedience? Did these characters learn from their mistakes? 15. Dogs and cats are supposed to hate each other, yet Ranger and Mama become close friends. Discuss their unlikely friendship -- what were some of the things they have in common? What are other unusual friendships portrayed in the book? Do you have a friend who, on the surface, seems like someone you wouldn't ordinarily like? Why do you get along with this person? 1. The voices of birds, animals, and reptiles tell most of the story in The Underneath. Write your own story from a creature's point of view, whether it's a household pet, or animal in the wild, or bird, reptile, fish, or some other living thing. 2. How does the narrative structure of The Underneath -- where several characters take turns telling the story -- resemble that of a television show? Research how to write a television screenplay. Choose one scene from the book and write a screenplay based on it, and include the characters' dialogue, the stage direction, and descriptions of the scenery. 3. Ranger the bloodhound bays mournfully about loneliness; drawn to his songs, Mama the calico cat sets out to find who sings them. Pick an emotion -- loneliness, anger, fear, love -- and write song lyrics, or a poem, about feelings you have. 4. The book's last chapter contains a passage about the trees of the bayou, how they could tell us what happened to Ranger, Sabine, and Puck after the story ends. Write a new last chapter for The Underneath, detailing what the three animals have done since they were reunited. 5. In the book, the hummingbird is described as an "intermediary" and "messenger," a being that is able to travel between life and death because it can fly so quickly. Research the mythology of some of the wild creatures in The Underneath -- such as snakes, alligators, or hawks -- and create a report about one. Illustrate your report with pictures or illustrations. An abandoned calico cat, about to have kittens, hears the lonely howl of a chained-up hound dog deep in the backwaters of the bayou, and sets out to find him. When they finally meet, Mama the calico cat and Ranger the bloodhound form a fast and unlikely bond, forged in loneliness and fueled by fierce love. They become a family after the kittens are born, and Ranger urges Mama to remain under the porch and raise Sabine and Puck, because Gar Face -- the evil man living inside the house -- will surely use her or her kittens as alligator bait should he find them. They'll be safe in the Underneath...as long as they stay there. But in a moment of curiosity, one of the kittens sets off an astonishing chain of events that reverberates through the bayou, and brings the past together with the present in remarkable ways. 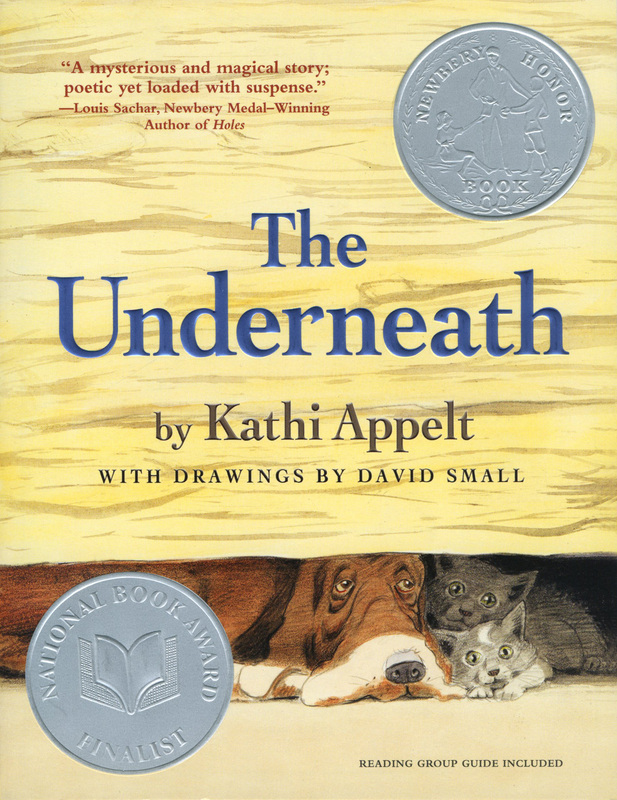 Following the tradition of Marjorie Kinnan Rawlings, Flannery O'Connor, and Carson McCullers, in The Underneath Kathi Appelt spins a harrowing yet keenly sweet tale filled with many absorbing themes, such as the power of love (and of hate), the fragility of happiness, and the importance of making good on your promises. This guide is designed to assist your classroom's discussion of this poignant novel. 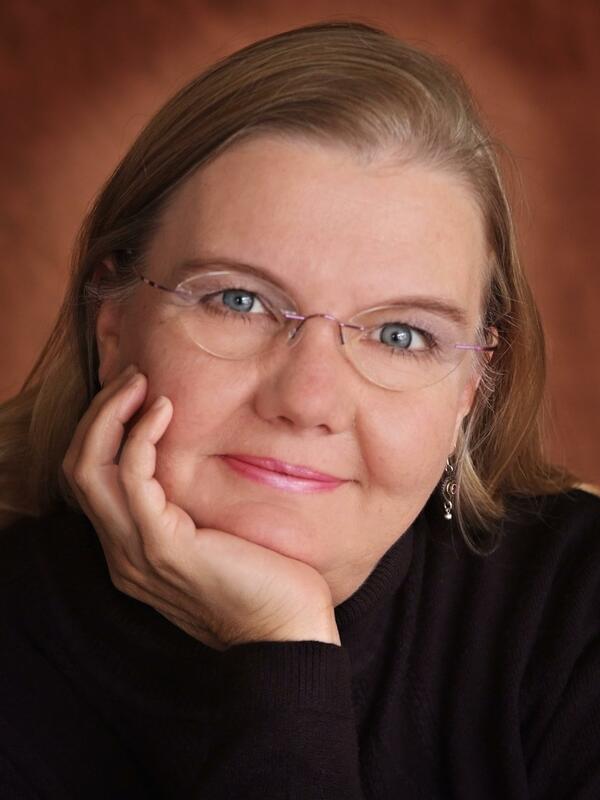 Kathi Appelt has written a number of successful picture books. This is her debut novel. She lives in Texas. David Small was awarded a Caldecott Medal for So You Want to Be President? He has illustrated many other books for children, including Once upon a Banana and When Dinosaurs Came with Everything. He lives in Mendon, Michigan.